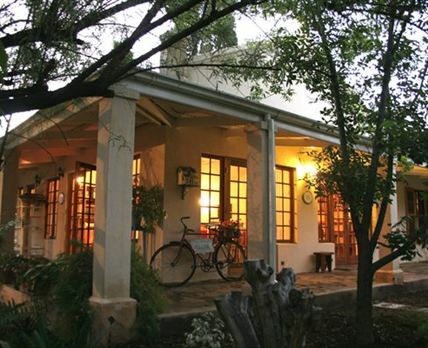 Avondrust B&B: In the heart of Graaff-Reinet lies Avondrust, an imposing guest house and B&B with gracious living as its philosophy. Your caring hosts since 15 September 2007 are Nico and Hanniki Hattingh. Nico left a thriving packaging business in Johannesburg behind because he fell in love with the Karoo and it was always Hanniki’s dream to have a guest house where she could spoil, pamper and serve people. The two Luxury Suites are found in the manor house and have separate entrances, private lounges, verandas and summerhouses. There is also a romantic Honeymoon Room and four Deluxe Rooms. These rooms are en-suite and have private entrances leading onto the tranquil garden behind the imposing Edwardian ‘Feather Baron’ mansion. All rooms boast space, privacy and comfort and have the use of a large pool overlooking the mountains. DStv is available in the guest lounge and country breakfasts are served with farm fresh eggs and milk. Avondrust is within walking distance of all shops, museums and restaurants. Click here to enquire at Avondrust B&B.